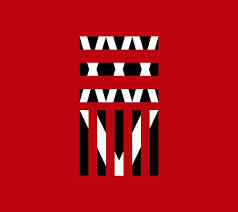 ONE OK ROCK is a Japanese rock band that was formed in 2005. Consisting of the four members: Takahiro Morita (lead vocals), Toru Yamashita (guitars, backing vocals), Ryota Kohama (bass guitar) and Tomoya Kanki (drums, percussion). Why the sudden talk about them? Well that’s because I’ve been listening to my collection of Japanese Music and ONE OK ROCK‘s Mighty Long Fall started playing. I’ve been a huge fan of them since forever. And it’s rare to find a band where you can’t help but love all their songs. Now for those who don’t know, Mighty Long Fall was the theme song of Rurouni Kenshin: Kyoto Inferno (2014 film). I took my time and listen to each song when it was released well I tried to but i kept spazzing like crazy. For me, Take Me to the Top was one of the best song. It started off with powerful guitars (I’m a girl who goes crazy over guitars so you could just imagine how I was dying while listening to this) and drums with Taka’s awesome vocals. At one point I thought of Linkin Park because of the “screamo” and I’m not complaining at all. I’m a sucker for these things. There are one or two songs where ONE OK ROCK does a little screamo but this one right here, OH GAWD!!! The guitar solo- no words right now. The catchiest song on the album for me was Cry Out. One by One had me throwing myself all over the place (ha-ha) which earned me a few stares. I really love this one. Ballads like Heartache and Good Goodbye was amazing, they totally lifted the album. The way Taka smoothly sung those high notes in Heartache was just amazing. These two songs are mostly on replay for me. Paper Planes is a collaboration with Sleeping With Sirens‘ vocalist, Kellin Quinn. Being a huge fan of both bands my expectation was pretty high for this one. However, the song felt completely different. I don’t know if it’s in a good or bad way but I just…I don’t know. Honestly, I was expecting like this amazing mind blowing song but the song sounded kind of messy. I’m not saying that this band or that band isn’t good but it just didn’t fit well with ONE OK ROCK. As always the instrument was good (oh gawd the guitar). I know I’ve been going on about the guitars  I don’t hate drums, in fact I love drums so with the song Decision we get the chance to hear more of the drums. It was so captivating I honestly forgot the guitars  This song was actually released last year along with Mighty Long fall as a single. They are both awesome tracks so I’m really happy that they decided to add them on this album. Overall, the album was really good and is worth the listen. I could go on and on about the songs but I think I’d end up writing a book. Also, if you’ve been following them since The Beginning (see what I did there 😉 ) you’ll see how much they’ve improved proud fan I tell you. ONE OK ROCK is definitely gaining more popularity not only within Japan but outside as well. I wish them all the best and I can’t wait to see what else they have in store for us. I strongly recommend you listen to this band, you’ll end up loving them as much as I do. Stay away from Taka he belongs to me! !